I am very proud to say that this super time saving, back saving fertilizer dispensing device was invented by one of our very own Backyard Growers. After bending over to fertilize a few hundred or a few thousand plants John quickly realized that there had to be a better way. Duston McGroarty using the Automatic Fertilizer Dispenser. This device is amazing. All you do is fill the reservoir bottle with a granular, slow release, fertilizer and slide the handle up and down. Each short stroke delivers one table spoon of fertilizer. If you need a smaller dose of fertilizer the applicator can easily be adjusted to deliver a smaller amount by simply slipping on a small plastic clip. That takes about 5 seconds! This is Important! Regular Garden Fertilizer will Kill Your Plants! I don’t mean that it might kill plants. I mean that it absolutely will kill your plants. You have to use a good quality slow release fertilizer like Osmocote. This fertilizer applicator makes it easy to target individual plants or containers. All you have to do is position the applicator over the plant that you want to fertilize, pump the handle just once and the exact amount of fertilizer is dispensed. If you are fertilizing plants in larger containers just pump the handle more than once. 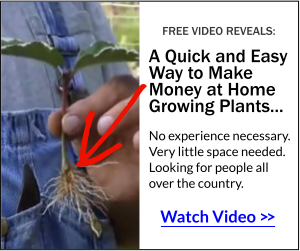 It literally only takes seconds to fertilize a plant allowing you to do hundreds, maybe even a thousand or more in an hour. This device comes with an extra reservoir bottle so you can fill two bottles and when the first goes empty just quickly screw on the second bottle. The device also comes with a custom made funnel that allows you to fill the bottles quickly and easily. Slow release fertilizer being applied quickly and easily. The little brown balls that you see in these nursery containers are the slow release fertilizer pellets that we use. Unlike garden fertilizer these pellets are coated and designed to release the fertilizer over a period of months as the plants need it. Regular garden fertilizer is not coated and it will release all of the nitrogen that it contains as soon as you apply it. That will, without a doubt, kill your plants. Nursery plants just cannot use that much nitrogen all at one time. Slow Release Fertilizer in a nursery container. This automated fertilizer applicator has a history of success by professional growers. Not only do many of our Backyard Growers use this device, many large, full scale wholesale nurseries are using it as well. The price for one of these units is only $135.00, just click here to order yours today. Click Here to Order Now! Shipping is Free. We have used this fertilizer applicator for more than 3 years now-IT WORKS! And it is way easy on your back and knees-especially when you have hundreds n hundreds n hundreds of pots to fertilize within that short time when you are also trying to do hundred n one other things! Also saves on spilling (always happens when you do it manually !) and kneeling down on wet areas trying to reach that pot in the back, and getting poked in your eyes in the process!! Best is-any problem with the machine-John is the best guy to deal with! He doesn’t disappear or ask for extra money to provide you with any help you might need! BTW, John or Mike did not ask me to write this! I have been using this fertilizer applicator for a couple of years and won’t do without it. I have a bad back among other things and this is a life saver. I don’t know about you, but my time is worth money so the amount that is wasted versus the amount of time I save comes out to benefit me. From a Grower in Washington State. We really like and use this fertilizer applicator. We bought it so that we would not be spending so much time on putting the Osmocote into containers, but found that we were also saving on Osmocote since we wasted less. This is a useful tool, not a gimmick. With all do respect are you suggesting that the fertilizer production companies and distributors are knowingly misrepresenting their product? Nothing ceases to amaze me anymore. I had never heard that claim before and thanks for the heads-up! No, that’s not what I mean. What I mean is that garden fertilizer is great for a garden, but no good at all for a container grown plant. Regular fertilizers are designed to released 100% of their nitrogen almost immediately. Ornamental crops cannot deal with that much nitrogen at one time. I have used John’s Fertilizer Applicator for almost three years now and and must say it has worked flawlessly for probably 100,000’s cycles now. It has absolutely no wear and the metering is still precise after all this time. It has saved thousands of labor dollars by now and is so simple a child can master it. About a year and half ago, John happened to call me on a day that we were at that very time using the Fertilizer Applicator and we were on our fourth bag of Osmicote that day and John was so proud to hear the great comments from the nurserymen who were using it at that very time he called. There is no way we could have the success we do without using a fast, (very fast!) flawless feeder. The Fertilizer Applicator is fast, and more dependable than units costing 5 times or more and just plain fun to use! If you have ever spoon feed 25,000 plants on your hands and knees, buy this and you too will know what fun is. To a great invention and a real gentleman, thanks John! Thank you for sending me these informative “News letters” I don’t always read them but I do have a special file I post them to everytime I get them so I can use them for future reference. I have been using “Osmacote” for the past couple years in everincreasing amounts on just about everything I plant in my garden and flowerbeds. I like the product! This past growing season I used at least close to 1 1/2 Galons of it. I think I had the best looking yard and vegetable garden I have ever raised! However, I had no scientific way of applying the fertalizer I just dug a hole about two to three times bigger than The plant I was planting then sprinkled in some fertalizer and started to backfil with soil and then added some extra fertalizer and continued to completely fill in the last of the soil around the plant. I thought this was the best way of applying the “Osmacote so each plant had plenty of fertalizer. This became QUITE A PROJECT even for my realitively small yard and garden. 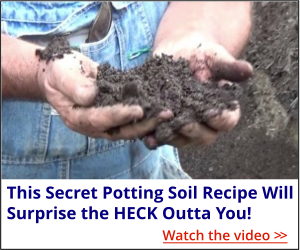 It was quite a revelation to me to se that you only use a Tablespoon full per plant and the BIGGEST SUPRISE was to see you just apply it on top of the ground!!!!! I am not fully convinced with this method as I have always felt the plants bennefit more by having the fertalizer right around the roots! I would be interested to hear your take on this theory. Thank you again for your help and your informative “News letters”. You really have to think about how Osmocote works. It’s slow release, takes 3 to 4 months for it to release if with their fastest releasing product. As it releases it will leach into the soil. Keep in mind, we are fertilizing containers that have to be watered daily during the growing season. One tablespoon is good for say a one gallon plant. Larger plants need a bit more. LOL, Mike! When I saw the subject line in my email, I thought it was going to be a picture of your miniature donkeys! Dear Mike….What a very cool piece of ” Garden Engineering “. Simple, effective,and easy to use. Thanks Corrinne, this really is a wonderful tool. So easy to use.